Effects of inflammation and infection on blood cell development and immune responses. Effects of inflammation and infection on bone cell development and bone structure. Regulation of bone marrow responses by inflammation. The focus of immunology is always on the bugs that infect us and how they make us sick. But what always amazed me was the fact that most of the time, we are relatively healthy. Our immune system does such a great job that we usually don't even notice it is working. This led me to wonder how our immune response is controlled and how it sits ready to defend us at a moment's notice. As a result, I have been looking at how our immune cells develop and what controls their responses to infection. On a basic level, I want to understand how our immune system develops and functions. This has led me to study the bone marrow, which contains cells that produce both immune cells and bone structural cells. Interestingly, these two cell groups must communicate to balance immune cell development and maintain long-term bone health. My ultimate dream is to be able to use newly gained knowledge to promote useful immune responses, while also limiting life-long bone disease. Dr Maltby joined the HMRI in January 2012. Since his arrival, he has established a program characterising the impact of infection and inflammation on the bone marrow. In Newcastle, Dr Maltby has established techniques to assess the impact of infections on the bone marrow micro-environment. This includes establishment of a chronic virus infection model with his findings demonstrating a number of new insights on bone marrow biology that may have significant implications for chronic disease of the bone and joints. This work has identified key differences in immune cell production, function and impacts on structural bone that builds on Dr Maltby's previous research experience in hematopoiesis (blood cell development) and immune cell function. Dr Maltby has extensive experience in a range of preclinical disease models (including arthritis, allergy, tumor growth and virus infection). His PhD research also focused on the characterisation of immune cell development and migration, particularly in the context of inflammatory disease. Dr Maltby has published numerous peer-reviewed research publications (>15 primary publications to date, including manuscript, reviews and book chapters). In addition, he has presented his research at >50 conferences and he is a regular speaker at national and international conferences. 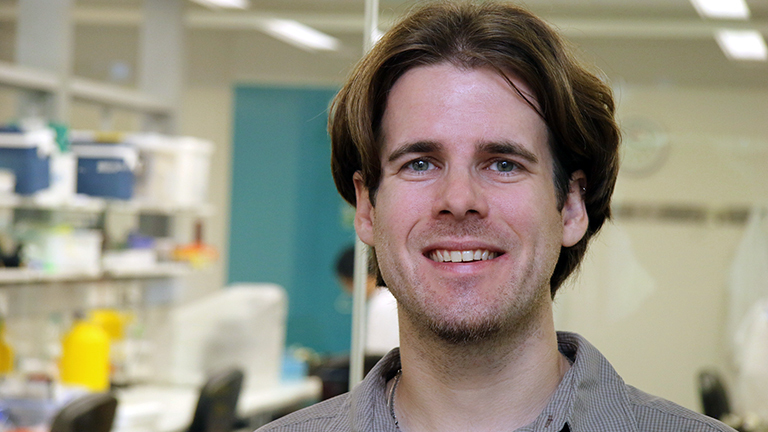 His work has resulted in significant salary support funding, including two post-doctoral fellowships, from the Canadian Institutes of Health Research and the University of Newcastle. His research program has also been awarded competitive pilot grants and formed the basis of national project funding grants. Further, Dr Maltby’s accomplishments are recognised by >10 research prizes including Early Career Researcher of the Year (Priority Research Centre for Asthma and Respiratory Diseases 2014), best presentation (Future of Experimental Medicine 2014, Sydney) and Junior Investigator Prize (International Eosinophil Society, 2009, Bruges). His total career research funding to date totals >$750,000. Dr Maltby is currently working towards understanding the specific changes in the bone following virus infection, to improve long-term health outcomes in infection and bone disease.